That said, do note that I use the Lucas Papaw Ointment every night so my lips aren’t exactly a peely horrid mess. These lipbalms live in my makeup pouch so I can touch up during the day after sitting in an air conditioned office for hours. The scent is quite strong though so if you are averse to strong fruity scents, stay away. If you like a bit of “flavour” in your lipbalm, you could do worse 😉 Oh I don’t get that “oily” feel that I sometimes get with other lipbalms which is a plus and there is UV Protection and the taste doesn’t last (which I like). 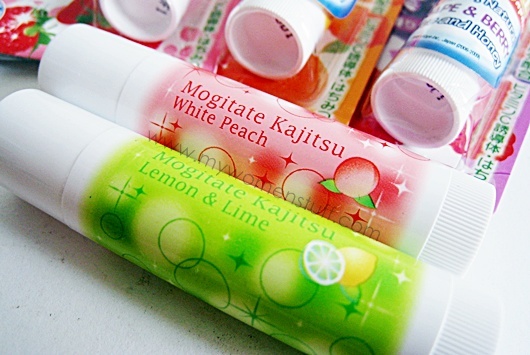 On an overall basis, I’d say there are pretty decent lipbalms in that they do the job i.e. keep your lips flake free. 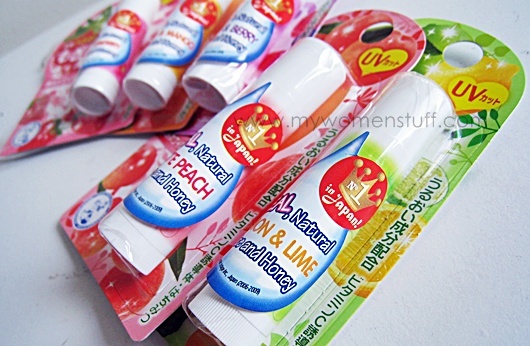 The outer packaging is seriously cute, but the tube itself is plain and the lipbalm is a plain white. The scent can be strong so please be warned if you are sensitive to strong sweet scents. Otherwise, its a lipbalm that does a decent job. Disclosure: The featured product was sent by PR for consideration. For posting guidelines please read my disclaimer. Haha just to be clear, the scent does not last very long. Good or bad depends on your personal tolerance. Haha, really kawaii 🙂 But I’ll pass, can’t really stand strong fruity scents, especially strawberry. Gives me a very awful headache. I’m always afraid of that “cough mixture” smell! Wow the packaging looks cheerful! What’s the difference between this and mylipstuff? Availability mostly as this one is available at Watsons. Also it is less oily than MyLipStuff and the scent does not last as long although the initial scent is quite intense.